Ruth Elaine Benjamin-Wardle, 70, of Denver, CO passed away after a long, courageous battle with ovarian cancer, while surrounded by family on November 30, 2018. Ruth was born in Kansas City, Mo. on October 31st, 1948. She graduated from Lillis High School and continued to receive a Bachelor’s Degree in English Literature and a Master’s in Special Education from the University of Missouri-Kansas City. She also earned a teaching certificate from Avila College and a certificate in Marriage and Family Counseling. Ruth worked as a special education teacher for 40 years and as a Marriage and Family Therapist for 15 years. 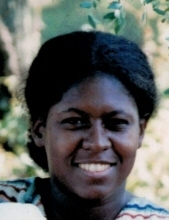 As a young person, Ruth enjoyed folk dancing, English literature, travel, and advocating for social justice. She travelled to Cuba with the Venceremos Brigade, and also visited Guatemala, Belize, and Great Britain. She participated in a variety of activities supporting women’s rights and racial equality. In her later years, she also enjoyed writing, knitting, British history, genealogy, and spending time with her family. She was a huge Beatles fan. Ruth was married to Francis Wardle on November 28, 1976; they were married for 42 years. She is survived by her husband, Francis Wardle, children Maia, Eirlys, Kealan, and RaEsa Benjamin-Wardle, her grandchildren Gabriel, Dominic, Isaac, and Elysia, and her brother Norman Benjamin. To send flowers or a remembrance gift to the family of Ruth Elaine Benjamin-Wardle, please visit our Tribute Store. "Email Address" would like to share the life celebration of Ruth Elaine Benjamin-Wardle. Click on the "link" to go to share a favorite memory or leave a condolence message for the family.